How closely can ground control monitor astronauts aboard the ISS. Are there cameras or microphones that the ground can use to see and hear what's happening, or are they reliant on the crew to relay what is going on in terms of astronaut activity and movement? If an astronaut wanted to do something like a practical joke on ground control and they needed to talk and hide their movements, would they be able to do that unnoticed? 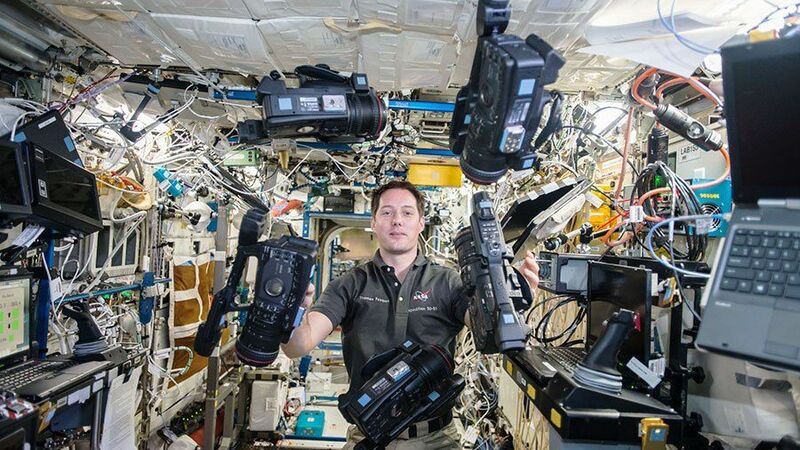 The ISS internal video cameras are simply Commercial Off The Shelf (COTS) camcorders. They interface with the video distribution system by plugging into Internal Camcorder Ports located throughout the pressurized modules. These ports communicate with Common Video Interface Units (CVIUs) which in turn communicate with Video Switching Units (VSUs). 3.3.3.4.2.4. Camera ports. The ISS has camera ports (part of the structures and mechanisms sys- tem), both internal and external, for connecting cameras to the ISS. The internal camera ports are for handheld commercial camcorders. The external camera ports (14 in all) are for the ETVCG's. The ground has control of the CVIUs and VSUs, but no control over the COTS camcorders. If the crew does not want video to be taken, there is nothing the ground can do about it other than ask nicely. Not the answer you're looking for? Browse other questions tagged iss crewed-spaceflight astronauts mission-control or ask your own question. How does ground control monitor the docking of ships to the ISS? What is the procedure if communication with the ISS is lost for an extended period? How is time split on different activities on ISS? Do astronauts aboard ISS always follow orders? How frequently do astronauts revisit ISS? How can astronauts on ISS deal with dental emergency?